Newly obtained documents show Public Safety Minister Steven Blaney was informed more than once and long in advance that the RCMP was likely going to reclassify and ban a controversial semi-automatic rifle. Even so, when the move was officially made to prohibit the Swiss Arms Classic Green and other PE90 model rifles, Blaney expressed outrage and said he was "troubled to learn" of the decision made by "unelected bureaucrats." Documents obtained by CBC News under the Access to Information Act show the Mounties informed Blaney at least twice in writing about their investigation into a complaint the semi-automatic weapon could easily be converted into a fully automatic weapon. The RCMP also informed Blaney's predecessor, Vic Toews, of the issue on June 7, 2013. But that didn't stop Blaney from issuing a statement on the Conservative Party website on Feb. 28, 2014, where he is identified as the MP for Levis-Bellechasse, Que., instead of the minister of public safety. "The actions of these bureaucrats are absolutely unacceptable," Blaney said in the statement, adding that the RCMP "has no idea how many of these rifles exist and they have not announced any plan on how to deal with those who purchased these firearms lawfully." But the public safety ministry's records suggest otherwise. Earlier this year, the RCMP wrapped up a year-long investigation into the Swiss Arms Classic Green after receiving a complaint the semi-automatic gun could be easily converted into a fully automatic weapon. The RCMP issued its first written briefing to the government on the review on June 7, 2013. The briefing note prepared for Toews and signed by RCMP Commissioner Bob Paulson explained the origins of the Mounties' reclassification exercise. The memo also explored strategic considerations such as the fact that "302 restricted and prohibited PE90 firearm variants are currently registered to individuals and businesses." 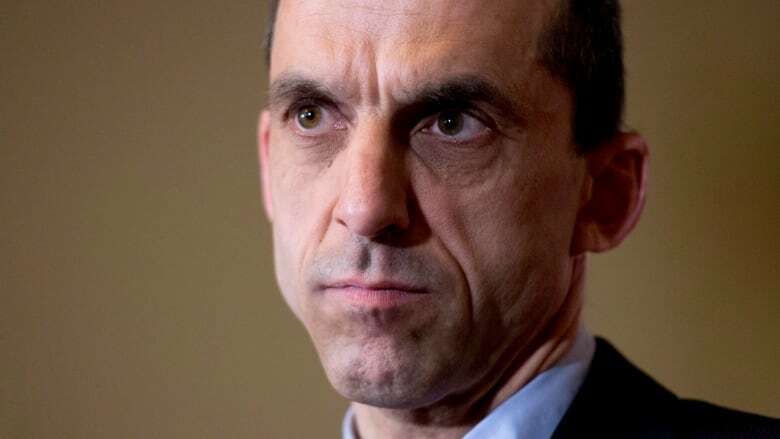 In July 2013, the RCMP submitted a summary of the issue, its background and current status to Blaney in a briefing provided to him as the new public safety minister. The Mounties submitted another briefing note for Blaney on Feb. 20, 2014, also signed by Paulson, that explained the Mounties' findings and decision. "The RCMP CFP (Canadian Firearms Program) has determined the guns are descendants of the prohibited Swiss Arms SG 550 firearm," the briefing note said. The document discussed how automatic weapons are considered more lethal than other firearms because they can be reloaded faster and shoot a spray of bullets with one pull of the trigger. The briefing note went on to say that while the the overall number of the now-prohibited weapons is unknown — due to the decision to scrap the long-gun registry — the Canada Border Services Agency might be able to provide an estimate of how many of those guns have been imported into Canada since 2001. "The RCMP is available to discuss how to best address the issue of the Classic Green rifle and its variants and develop options for the minister's consideration," Paulson told the minister, since measures would have to be taken to address that hundreds of Canadians may no longer be in compliance with the Firearms Act. That discussion appears to have gone nowhere. Within days of expressing outrage at the reclassification, Blaney announced a two-year amnesty to owners of the Swiss Arms Classic Green rifle, which means they will be able to keep their guns without threat of criminal charges. The RCMP refused to comment on the newly released documents. A spokesman for Blaney said the minister's office didn't get any options from the RCMP. “The minister was not informed in advance that any decision had been reached regarding the reclassification of firearms," Jean-Christophe de la Rue said in an email to CBC News. This story has been updated from an earlier version to correct that the amnesty is for two years.